Hasn't every Disney remake so far been exactly like the animated version? Maleficent was a radical departure, which is a shame because Sleeping Beauty is one of Disney's best and purest animated fairy tales. The Alice in Wonderland movies are also ridiculously different. The rest have been pretty by the book, yes. Cinderella, Jungle Book, Beauty and the Beast. Those movies pretty much established the template Disney will use going forward. Stagger Lee, Han Solo, RegimentML and 18 others like this. Stagger Lee and NilesIrish like this. TC, NP13 and marcus like this. 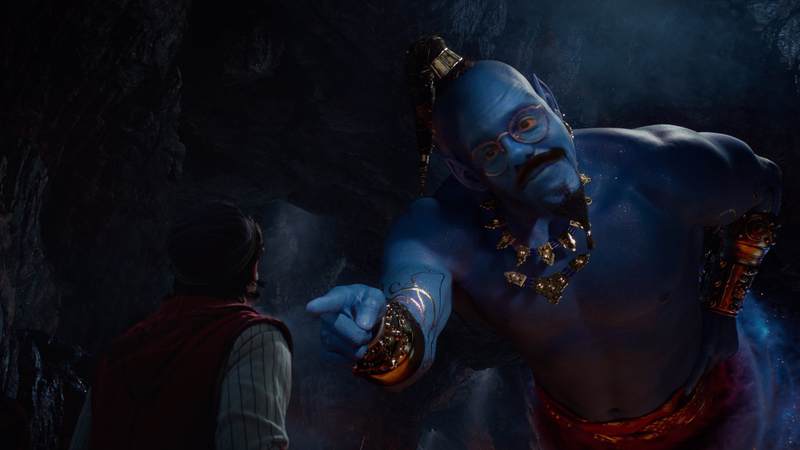 Will Smith feels like a miscast. Corny and unimaginative as it sounds, Eddie Murphy, Mike Meyers, or someone comedically versatile like them would suffice. The character is way larger than life and I don’t see Will hitting all the spots he needs to. But who knows, maybe be’ll surprise. I hope he does. In general, I think these remakes have been well done. Cinderella was just on today and we watched it, start to finish. Very good. Mike Myers probably should have been the play. He could murder that role. Weird take, bur Horatio Sanz also comes to mind. I was trying to come up with an outlier, but chickened our and went with the basics. No idea why his name hit me but it makes sense. just something about this movie doesn't do it for me the way the other live action remakes have. It does come off as a bit cheesier, for some reason. That trailer looks legitimately interesting and 100x better than the first teaser they released. Han Solo, Luka, FarmerBrown and 1 other person like this. Han Solo, Luka, CF3234 and 1 other person like this. Was probably one of the best Aladdin Sega Genesis players of all time. Still play it from time to time to see how my skills are. FourClover01, Luka, CoastalOrange and 9 others like this. Luka and BlazingRebel like this. they wrote a brand new song for the film because Naomi Scott is good and her on-set singing didn't need to be dubbed over. Luka, UKupNorth and BlazingRebel like this. marcus, Han Solo and CoastalOrange like this. marcus and Han Solo like this.